The Cisco Product Security Incident Response Team (PSIRT) has published one important vulnerability advisory: Cisco IOS XR Software Route Processor Denial of Service Vulnerability Cisco IOS XR Software Route Processor Denial of Service Vulnerability The vulnerability only exists on Cisco 9000 Series Aggregation Services Routers (ASR) Route Switch Processor (RSP440) and Cisco Carrier Routing System (CRS) Performance Route Processor (PRP). The vulnerability is a result of improper handling of crafted packets and could cause the route processor, which processes the packets, to be unable to transmit packets to the fabric. 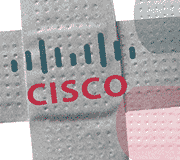 The Cisco Product Security Incident Response Team (PSIRT) has published one important vulnerability advisory: Buffer Overflow Vulnerabilities in the Cisco WebEx Player Buffer Overflow Vulnerabilities in the Cisco WebEx Player The Cisco WebEx Recording Format (WRF) player contains three buffer overflow vulnerabilities. In some cases, exploitation of the vulnerabilities could allow a remote attacker to execute arbitrary code on the system with the privileges of a targeted user.